Successfully Added iPhone Battery Case - Portable On The Go Recharging to your Shopping Cart. 1st gen iPhone and iPod Touch protective case with a built in high capacity li-ion battery for portable recharging on the go. If you love your iPhone, but are one of the multi-millions really annoyed that the battery is inaccessible and unable to be swapped for another without cracking open your expensive apple gadget, this is the low priced alternative you have been looking for. 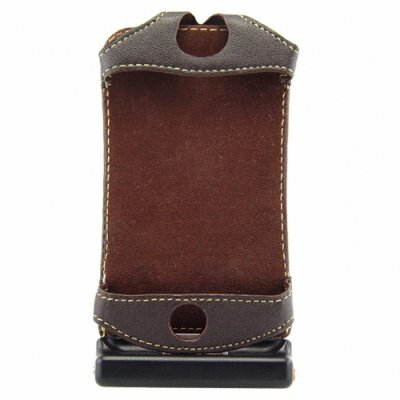 Made completely out of high quality sheepskin and environmentally friendly ABS plastic, this case contains within enough juice to completely recharge you iPhone at least one time, and can even recharge your iPod while it is in use. Stop worrying about how long you have had your iPhone on with this very low priced, extremely resalable iPhone and iTouch accessory. Note: You Can Not plug this device directly into a computer/ laptop or a wall plug via a 3rd party USB to AC adapter to recharge the battery in the case. Doing so will damage the battery. When recharging the battery, please connect the iPhone case to an authentic Apple USB Power Adapter using the USB cable included with the case..